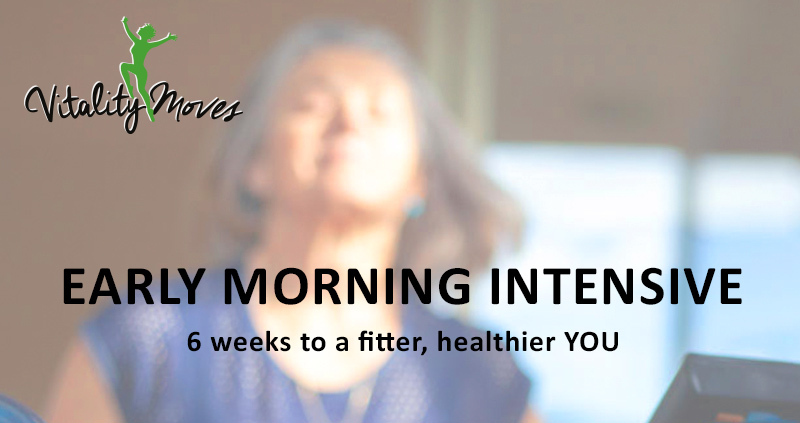 Do you want to get fit and feel fabulous? Personal training will provide you with the opportunity to get fit and make it a pleasure. Michelle has developed a program to enable people to lose weight and/or gain fitness. This well thought out system improves health, fitness and makes sustainable lifestyle changes possible. If weight loss is part of your fitness goal, Michelle has a complete nutrition support system for you to use. Educating you to the benefits of planning food, to understanding the benefits of whole foods, encouraging you with motivation to activate your personal dedication and discipline to make to changes most of us desire. Personal training will improve your vitality and wellbeing and help to instil commitment and motivation required to reach personalised goals. A Nutrition program at Vitalitymoves is a part of the personal training system. It will be an individual program that will provide extensive support, education and motivation for clients to reach their nutrition goals whether it is weight loss, or a more specific need related to health needs such as diabetes, high cholesterol, PCOS or syndrome X etc. Information and explanation on current dietary trends such as raw foods, palaeolithic, 5:2 fast or Ketotic are readily available. Over the years I have developed a system which is designed to assist you in recognising and changing your nutrition habits into a positive life style for ever. This program provides lots of take home information as well as a nutrition and exercise diary to assist in maintaining the desire, determination and discipline needed to gain the personal insights that will assist you in becoming the healthy and fit person we all work towards becoming and staying. Be moderate – to taste the joys of life in abundance… Epicurious. A way to look at food preparation to make eating nutritionally easier. A big thank you to Cheap Lazy Vegan for this inspiration. Some spaces available Wednesday morning. Come once twice or threes times a week, what ever suits your needs. Book in advance month by month, contact Michelle to find out more. I refer to Michelle as my health mother! I refer to Michelle as my health mother! She is always attuned to my health and exercise and nutrition needs and since working with her, I no longer require orthotics, have greatly improved my posture, reduced my cholesterol levels lost 10 kilos and at the age of 66 can now do handstands. I was overweight, with high blood pressure-even on medication. Personal Training sessions with Michelle Redman from Vitalitymoves changed my whole outlook on life. Michelle assessed my health and fitness, helped me identify goals, motivated me to get fit and healthy and designed a program for me to reach my goals. I was an 85kg smoker and drinker who did little exercise and ate what I liked. Michelle gave me the knowledge and motivation I needed to lose 15kgs, quite smoking, cut back on the booze and reinvigorate my life. Quite simply Michelle made me see the importance and value in taking care of myself. I’m now fitter, stronger and healthier than I have been ever been before and I have Michelle to thank.